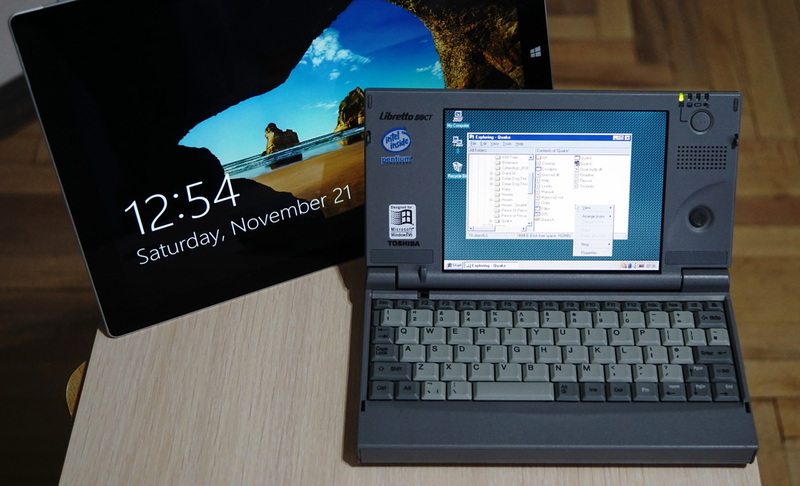 Final vintage computer (after Atari Portfolio and Palm's, 5000 and others), which I wanted to get - Toshiba Libretto 50ct notebook, which I was able to get in surprisingly good condition, even with working Lithium battery. I remember we were going to programming competition to Saint-Petersburg in the late 90's, and there in the shops I've seen it - it was so beautiful and prohibitively expensive :-) It's size & weight is impressive even these days. 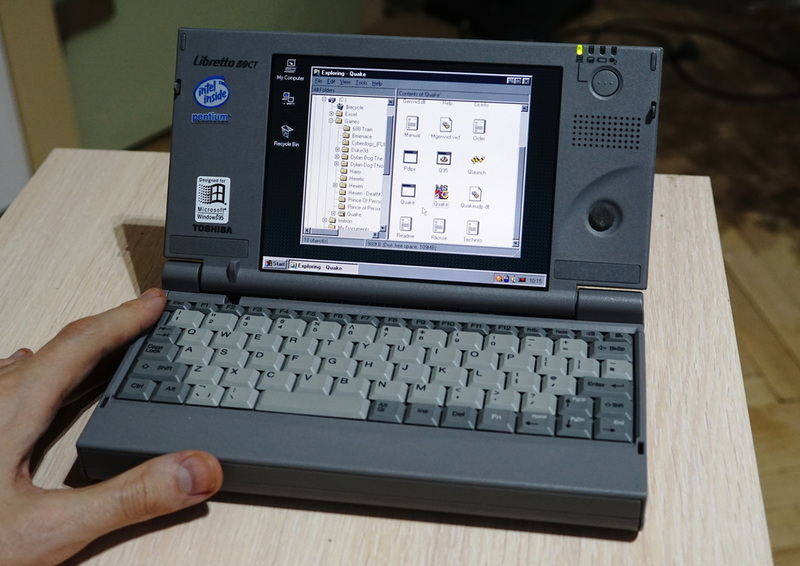 From the hardware side it has Pentium 75, 16Mb of RAM, 800Mb HDD, color LCD display with 640x480 resolution. RAM and HDD are upgradeable - I might need to try that.